With innovative regulations and procedures, the APMO has become a model for regional competitions around the world where costs and logistics are serious considerations. 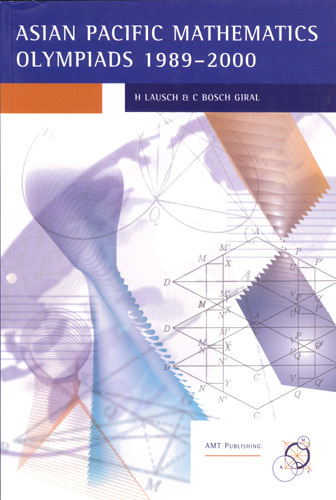 This 149 page book reports the first twelve years of this competition, including sections on its early history, problems, solutions and statistics. "The Asian-Pacific Mathematics Olympiad has become one of the great regional mathematics olympiads."